ParkWhiz is an app and service that enables you to search for parking lots and garages near any major city. 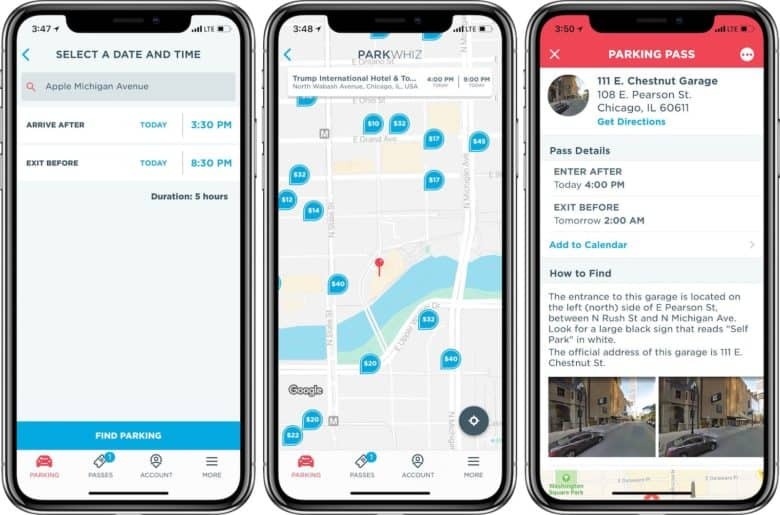 From within the app, you can view parking costs for set time frames and purchase your parking pass, allowing you to breeze into a parking spot without any surprises. The best “feature” of ParkWhiz is the way it saves you money. Instead of driving around unfamiliar cities, hunting for parking garages that aren’t wildly overpriced, you can view rates at hundreds of parking garages and lots before you even get in the car. This helps you find the best rate, or view available spots near your destination. Buying your parking pass before you even get to the garage is also great. By using ParkWhiz, you can see exactly how much time you have for spot, and how much it will cost. Once you’re ready to book, it’s as easy as Apple Paying for your spot. This also allows you to secure special rates (like early bird pricing), even if you don’t make it to the garage during that promotional period. 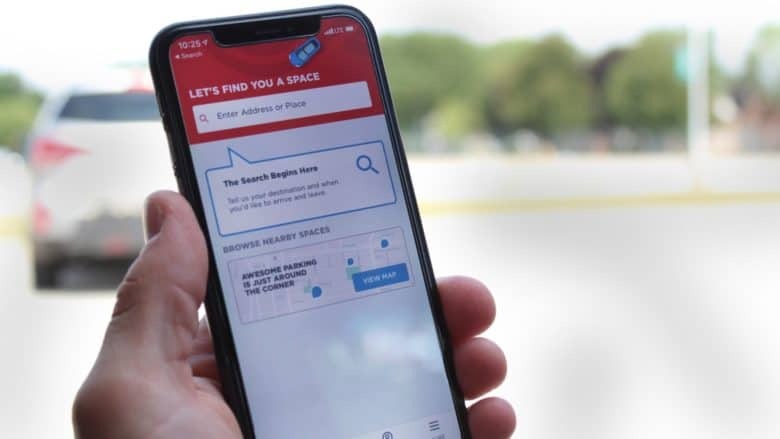 Finding and reserving parking with ParkWhiz is quick, easy, and convenient when you’re traveling. The final great feature of ParkWhiz is the “About this Garage” section. This provides useful information about where to enter or exit the garage, things to look for when arriving, and even various amenities available (such as covered spots, valet, or electric car chargers). This becomes extra useful when you’re in an unfamiliar location and need a few extra details to find your spot. Anyone that travels frequently or visits large cities with paid parking will find ParkWhiz useful. Anyone on vacation or relying on a car while in a city will appreciate the convenience and cost savings the app has to offer. If you’re driving in a metro area and want to score the best deal on parking, check out ParkWhiz. It’s the best parking app on iOS, saving your time and money.